Tom Kitchin, the one star Michelin Chef from Scotland, was my inspiration for this dish for round 5 of the Freshly Blogged competition. Dave and I met Tom last year when we went to eat at The Kitchin, and I have a signed copy of his recipe book. Tom believes in cooking regional and seasonal produce, which echoes with my blog philosophy. 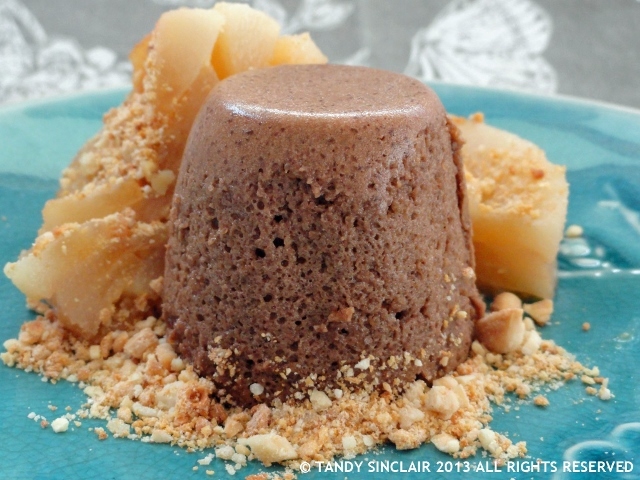 In his book From Nature To Plate, I was introduced to bavarois, a custard based dessert. This is set using gelatine and cream. With cream not being one of our pantry ingredients I knew I would have a challenge on my hands. I am also not used to working with gelatine powder so this was a double challenge for me. The custard has a hint of chocolate and you can taste the Amarula, so that worked out really well. The pears are soft and succulent and the dessert is tied together with the crumble, with the salt making it zing. 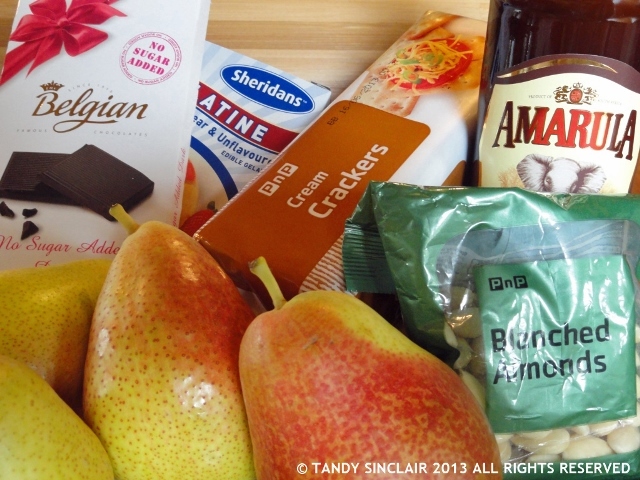 Disclosure: This challenge was sponsored by Amarula for the Freshly Blogged Challenge. This post is in line with my blogging policy. Wow Tandy. It’s a beautiful dessert – definitely outside of my skill set but you’ve done a terrific job of putting it together. I bet it tasted great, Tandy! I was wondering how on earth the cream crackers fitted in with the rest. I left them out altogether. I couldn’t manage without cream for mine, so splurged on it as my extra ingredient. What a fabulous tasty dessert recipe, Tandy! I love it too! I love your chocolate soufflé & it looks lovely too!